How do you reinvigorate the gem-clearing puzzle genre? By integrating it with a platformer, of course. 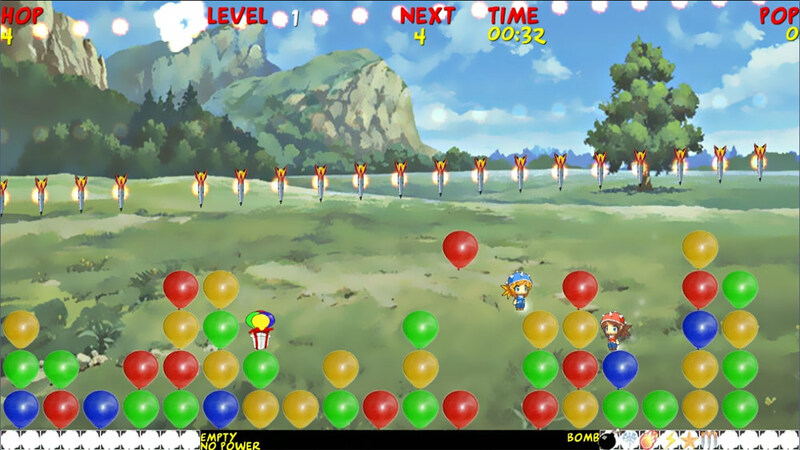 “Hop and Pop” does just that, by giving you a character that actually pushes around the balloons (or, if you prefer, zombie heads) to make the colour combinations, and clear the board. There’s more than just that, though. Because you have a character, as opposed to moving things around with just a cursor, you can collect power-ups (more than a dozen in all) to improve (or otherwise modify) your character’s attributes. There’s offline multiplayer here too, for those with someone itching to play a gem-puzzler/platformer hybrid with you. Several difficulty levels, multiple soundtracks, and achievement-like awards round out a package that earns its 80 Microsoft Points by executing well on an oddball premise.